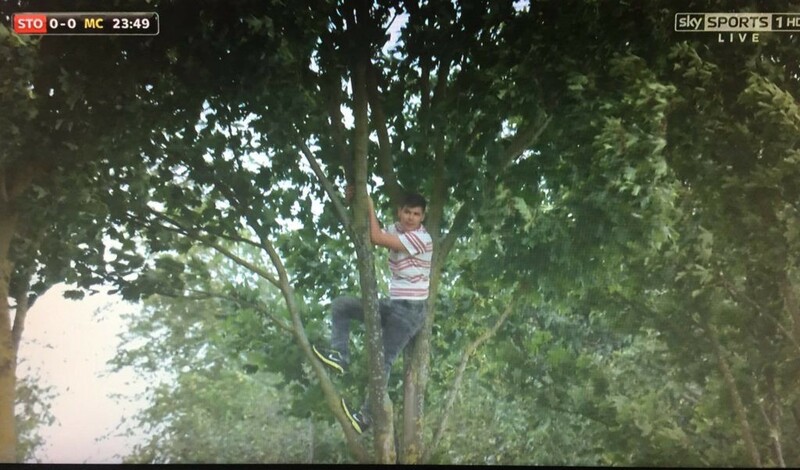 Premier League tickets aren’t cheap, so when you want to witness Pep Guardiola’s first visit to Stoke, sometimes the best option is to climb a tree. 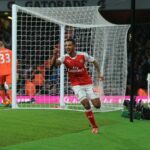 That’s what one man did outside the Bet365 Stadium and his effort was rewarded by two early goals from Kun Aguero to give Man City a 2–0 first-half lead. It’s unclear if he was intent on staying in his perch for the duration of the match, but now I’m wondering how much he’d have to tip the delivery guy if he ordered a pizza up there.